Happy Monday! 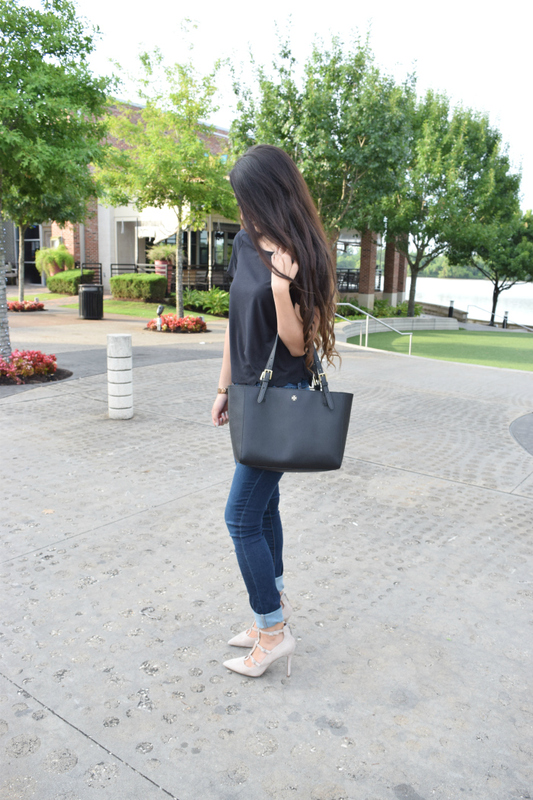 Today on the blog I put together my idea of the perfect business casual outfit for a Friday. I've worked in the corporate world for a few years now and my favorite part of office life is wearing jeans on Friday! I'm obsessed with everything and anything with scallop detailing so when I saw this top I knew I had to buy it! It's currently sold out but I linked a few similar ones at the bottom of the post. (I might just order them all!) These Articles of Society jeans are my all time favorite because they are so comfy and stylish. On another note I'm so excited to start blogging again! I'm determined to remain constant with my blog posts and I'm so thankful to everyone that has supported my throughout the process. I had a few people come to me when I stopped posting for awhile asking when I would put up a new post. Ya'll reading my posts and connecting with me gives me so much motivation! I have a ton of great posts for ya'll this week so check back daily!